After you have started the Apache Tomcat server, a logical question to ask would be: "How do I verify the Tomcat server is operational?" In this topic we will find out! In the address area of the browser, type http://localhost:8080 and submit that address to the browser. 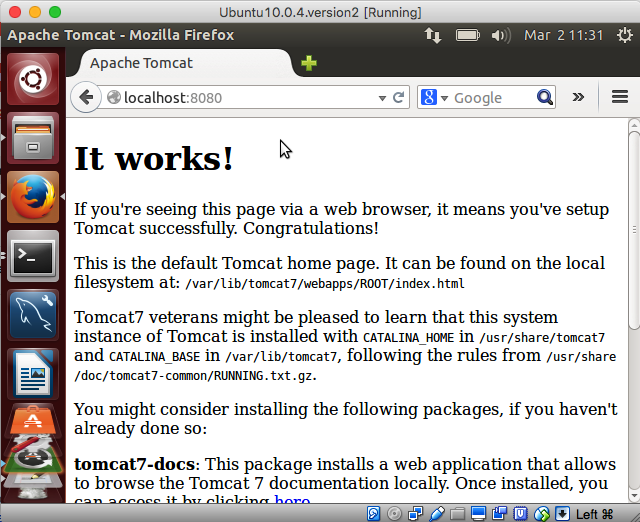 The Tomcat server is operational.